It had originally been sold to the Compagnie Algerienne de Tracteurs in 1957 where it had been used by the French administration in Algeria. It had been sprayed army green over the original grey on arrival. The photo is of an identical if not the same car in Algeria in the late 1950’s. I have found the marks left by the aerial in the photo on the front right wing. All the Algerian Land Rovers have a number sprayed under the bonnet. The AL is obviously for Algeria but if you know what the number refers to then please contact me.. In 1963 it appears to have been repatriated to France where it was sold by the Bordereau d’achat in 1967. 107″ Station Wagons are supposed to be the rarest production Land Rover. 7000 were built and most went to Australia and New Zealand. In Europe they are very rare as in the UK they were taxed as cars after the war and were therefore very expensive. Most of the surviving examples in France appear to have had the same Algerian history as this one. 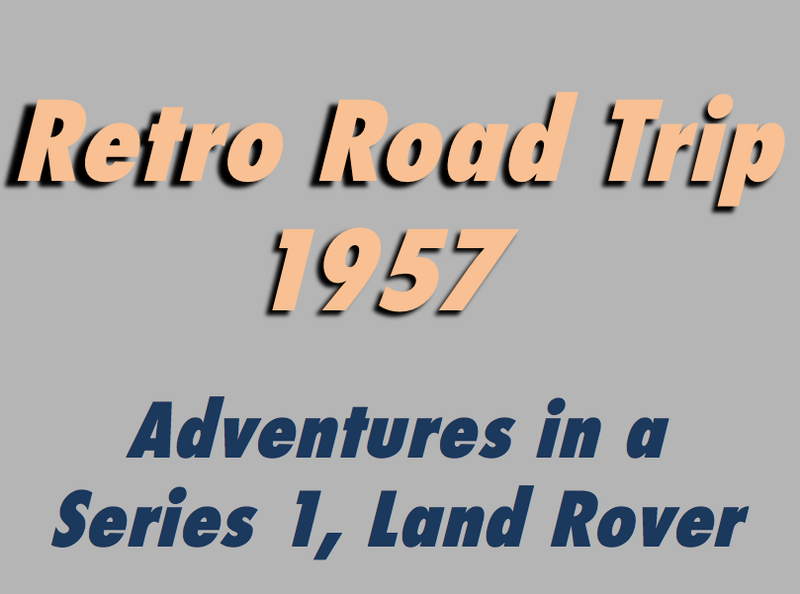 There are supposed to be as few as 50 107″ Station wagons in the world still on the road with the original engine….but these are Land Rovers…..this sadly this does not mean they are worth much! I’m not entirely sure as to what happened next. The last owner, a French meteorologist who worked in Africa, painted it sand colour and kept it in a nice dry shed near Tour in France. I found it on Le Bon Coin (French eBay) being sold by his sister after he died. It had apparently been sitting in the shed I found it in for over 30 years. With hindsight I was extremely lucky. Kabylie was entirely rust free but the wiring was dangerous and there were a lot of issues to resolve. So, after breaking down for one too many times, I towed it back to the garage and took the whole darn thing apart. Thats not radiator water. Hector just spilt my tea!